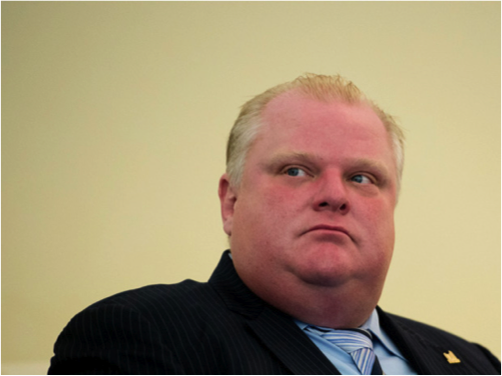 Rob Ford, Toronto’s controversial mayor, is currently involved in a legal battle that could result in him losing his job. The legal saga began roughly three years ago in February of 2010, when Mr. Ford sent out donation requests for his football foundation to official city lobbyists using official city letterhead. Toronto’s integrity commissioner found that Mr. Ford’s actions violated city council’s code of conduct rules regarding the use of city staff and city resources. The violation occurred because Mr. Ford was using official city resources for a personal matter, which is generally not allowed. Mr. Ford was ordered to pay back the $3,150 donated to his football foundation. Roughly two years later in February of 2012, Toronto’s city council had a change of heart and voted to overturn the order requiring Mr. Ford to pay back the money. Mr. Ford participated in this vote, without declaring he had a conflict of interestin the vote. A conflict of interest occurs when personal factors impact a decision (in this case, Mr. Ford’s vote). When someone has a conflict of interest, they are not able to fairly and objectively make a decision. Shortly after the vote, a Toronto resident filed a conflict of interest lawsuit against Mr. Ford, claiming the mayor violated the Municipal Conflict of Interest Act. In November of 2012, Judge Charles Hackland ruled that Mr. Ford was guilty and should be removed from office as a result. Mr. Ford immediately launched an appeal and is allowed to stay in office until the Ontario Court of Appeal (ONCA) has decided the appeal. If the ONCA agrees with the lower court’s decision, it looks as though Mr. Ford will be able to run in the next municipal election. The ONCA is supposed to release its decision early in 2013. Stay tuned for an update on the fate of Toronto’s mayor! This blogpost was written by Brendan Stevens, a 2nd year law student at the University of Toronto. Brendan is a volunteer on the JFCY’s PLE team. All legal content was reviewed by a JFCY lawyer.